Walser has an entire team dedicated to researching the current market to ensure our Upfront price is competitive. This team researches every vehicle we price and how it compares to similar vehicles in the area. Market conditions also include factors like current fuel prices, economic trends, and even significant weather events to determine how they affect each vehicle’s market significance. All of this works to ensure that you get a fair price Upfront without the time and hassle of negotiation. It’s at the core of the Walser Way. The pricing team also considers supply vs demand when determining a fair Upfront Price. A greater number of similar vehicles means we can more aggressively price those vehicles. Contrary to popular belief, profit margins on new vehicles are surprisingly slim and shrinking each year. 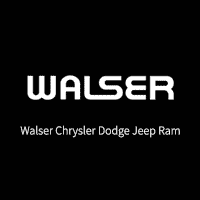 This means that in order to stay competitive, Walser continuously evaluates both its own inventory and that of its competitors to make sure we have the right mix of vehicles for our customers to select from. The result is more of the vehicles you want at greater discounts. Color affects vehicle pricing in multiple ways. First, some paint colors are part of upgraded packages worked directly into the MSRP. Secondly, manufacturers commonly produce more vehicles in specific color combinations making them more readily available and allowing for greater discounts. Finally, color can play into the age of inventory based on what is “hot” in the current market. Walser continuously evaluates the vehicle mix to provide our customers with a variety of options. Just like at your local market, new product arrives weekly or even daily on our lots. To make room for new and fresh inventory, our Pricing Team evaluates how long each vehicle spends on the lot adjusts the price accordingly. If we have two vehicles that are otherwise the same, it’s common for one to have a slightly larger discount based on age of inventory.